Learn and participate from anywhere with our challenging and rewarding web-based workshops. 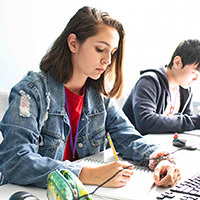 You don’t have to make it to campus to learn about video game programming, art and animation, and game design from wherever you are. DigiPen Academy offers online programs that provide knowledge and experience by combining rigorous curriculum with hands-on projects. Students must have access to a computer as well as additional hardware and software. Some programs or courses may indicate additional technology requirements, and not all programs are Mac compatible. See individual course descriptions for more information. This 90 hour Online Academy teaches the basics of animation using both 2D and 3D software to demonstrate the fundamental principles of animation and animation production and relying on traditional art concepts, such as color theory and perspective, to reinforce storytelling and composition. Students will work through the entire process of creating animations, from pre-production to completed animation. Using industry-standard software, students will produce a high volume of art and animation in preparation for a final animation that will incorporate all they have learned. Topics include basic drawing and compositional skills, the 12 principles of animation, 2D and 3D Animation techniques, and the role of art in storytelling, as well as character design and an introduction to 3D character rigging. This 90 hour Online Academy teaches students how today’s digital games and interactive experiences are created. 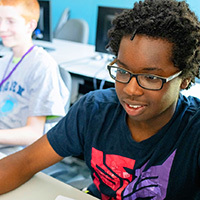 Students will develop a series of simulations and games that will teach them how to use DigiPen’s Zero Engine, a proprietary software development kit (SDK) that facilitates game creation for beginning to advanced programmers. Students will create basic games like Rube Goldberg machines, arcade-style space shooters, and platformers as well as their own original game. This class is designed for students who have not participated in Introduction to 2D Video Game Programming (online or on-site) or Video Game Development Level 1 (online or on-site). Students who complete this course will be prepared to learn how to use the more advanced features of the Zero Engine. This asynchronous 180 hour Online Academy requires no prior programming experience. Students will program using Java, however, the concepts and techniques taught will be applicable to many programming languages. 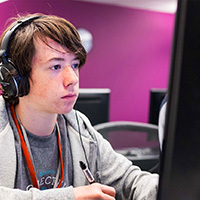 After successful completion of the course, students are prepared to tackle intermediate-level programming projects, as well as attempt the Advanced Placement (AP®) Computer Science A* exam, if desired. Students must have access to a computer that meets the technology requirements. Some programs or courses may indicate additional requirements, see individual course descriptions for more info. We provide full and partial scholarships first come first sever on a need basis. Due dates vary depending upon the program.